Former Little Sister Lianne Hughes brought the crowd to their feet at our 60th anniversary party, Big in Boston, with her inspiring words on the power of human interconnectedness and mentoring to change lives and communities. I am beyond grateful, yet humble to be standing here in front of you today to share, recapture, and paint my story as I re-explore the creation of my masterpiece as a former Little Sister of the Big Sister Association. Growing up in the projects of Boston, my mother was a single parent learning how to navigate her way to the American Dream. My mother struggled to maintain like many single urban parents. What was important to her was food, shelter and survival. So she did her best to raise my brother and I so we wouldn’t fall victim to the streets. She understood because of her circumstances and situation that she alone could not provide us with the resources and opportunities that we needed. So she reached out to the Department of Social Services who then connected us with the Big Sister Association. As I shared in the video, I was nine years old and nervous the day my Big Sister and I were matched. She was white; I was black. Her name, Maja Milenkovic, sounded like a witch spell from the Disney Channel. We had so many cultural differences! I knew at nine I was socially constructed because a lot of my perceptions about white people came from watching television shows like Feed the Children on B.E.T. All I could think about was, I didn’t want someone to “save me”; I wanted a friend, someone I could relate too, and someone that was going to believe in me. As we bridged the gap, Maja was just normal. She was nothing I expected. She liked dance; I liked dance. She loved hip-hop music; I loved hip-hop music. She was impatient in malls; I never had any patience in malls. We just had a lot of things in common. Even when it came to principles and perspective, she always mixed the old school with the new school. She never was the type of person to say, “I’m older, so I know better.” It was all about positive youth development and finding common ground. From Maja I embraced the concept of Ubuntu, “I am because you are, humanity, human inter-connectedness”. It was from her that I learned not to judge people by their skin color, but more by their principles, character and dignity. It’s really hard when you grow up in a society where everything is so black and white. You get all these different mixed messages about people, so automatically you become programmed to judge. But I learned from my Big Sister through all the confusion and illusions, the common denominator remains the same within people. We’re human. Despite our differences, were one in the same and we should celebrate those differences. Two years ago before I graduated from Wheelock College, I didn’t have the money to go back to school. I was short $5,000. And I remember painfully crying to Maja that, “It’s wasn’t fair that I didn’t have the money to go back.” Her simple reply of “It’s OK, Lianne. I’ll co-sign your loan” provoked the most overwhelming feeling of affirmation in my life. She affirmed that my aspiration for college was not merely a choice, but a task my heart so eagerly needed to complete. I knew it was more than just signing my loans. I knew this implied that she was inspired by my dreams, trusted my judgment and ready to join me on my quest toward self-accomplishment. This didn’t mean she paid for my college, this means she signed her name on a paper that could merit me my dreams. With that being said, my wish for Big Sister over the next 60 years is that it grows and keeps producing Big Sisters from all different backgrounds and socioeconomic classes. Diversity within race, as well within ideas is important in the world we live in. Just being culturally competent, relatable, and interpersonal touches people from the heart; it’s human interaction at its purest. I mean, I’m glad I and we have Big Sister, and it provides the services that it does. Because I know without having my Big Sister in my life, as cliché as it sounds, I wouldn’t have the mind set or perspective on the world that I have now. So I challenge Boston as well as everyone in the room to think collaboratively. Envision the best possible Boston, community, and world. Let me give you an alternative way to think about it. In school, I learned about Bronfenvrenners Ecological Systems Theory. In short, it speaks to the ideology that every institution on a micro to macro level is connected. For a society that’s thriving, everybody has to be involved, but most importantly everybody has to be on the same page. Not just communities and local organizations, but governments too. I feel that when everybody is listening to the mission, negotiating, or has some type of common interest, it serves the betterment of society, and young kids are able to strive. And when we’re not, we fail, our systems fail and we fail our communities and kids. According to Wednesday’s Boston Globe, “Poverty Worsening in Hub, Study Says”, 85 percent of families in Dorchester, Mattapan and Roxbury are headed by a single parent, mainly mothers and at least 20% of the adults have no high school diploma. These are the broken communities I live within. And every day when I walk though my community I see the impact and reflection of those statistics. I see young girls without fathers and mothers. I see young girls pregnant, and not enrolled into high school or on a pathway to a preferred future into college. I see young girls without that positive role model or Big Sister. So if you BELIEVE IN GIRLS (B.I.G) and that every girl in this room is a MASTERPIECE, you’re not just believing in the organization; you’re believing in a better individual, community, society and world as a whole. Because Big Sister is not just about the “neighborhood girl from around the way”, it’s about every young girl all over the world. Thank you. My journey with Big Sister Association of Greater Boston began six years ago when I became Migleila’s Big Sister. I will never forget that first time we met, she was the cutest seven year old, and she greeted me with a couple of key chains she had made. One said “Little Sis” and the other one said “Big Sis.” We have a scrapbook, and I keep that key chain in it to this day, along with other memories and pictures from the past six years of our relationship. After returning from our interview at NECN last week, we went over our scrapbook and enjoyed every memory cherished all over again…the moment was priceless! When I first heard of the Big Sister program my initial impulse was to apply so I could make a difference in a little girl’s life. The blessings I have enjoyed throughout my life have been countless, and I felt like it was time for me to pay it forward. I am privileged to have a wonderful family that provided endless support and positive role models, and where education was always a priority. It was my intention to provide the same type of guidance and support to a Latina girl that shared my same background and heritage. As a Big Sister and a member of Big Sister’s Diversity Council, which aims to increase the number of women of color who become Big Sisters in order to reflect the diversity of the girls they serve, I am aware of the amazing benefits of sharing a “Big-Little” relationship with a girl of the same cultural heritage. In my relationship with Migleila, we can relate to each other with more ease and understanding of our experiences and upbringing. It is a very enriching relationship, and I am inspired every day because I see how she aspires to become a productive member of society when she grows up. Children learn by example, and our relationship is providing positive examples for her to follow in her own life. If you are a woman of color and are thinking about making a difference in the life of a girl in our community, I would strongly encourage you to apply to become a Big Sister. I also want to hear from you. What is your experience mentoring a girl from a similar ethnic or cultural background? 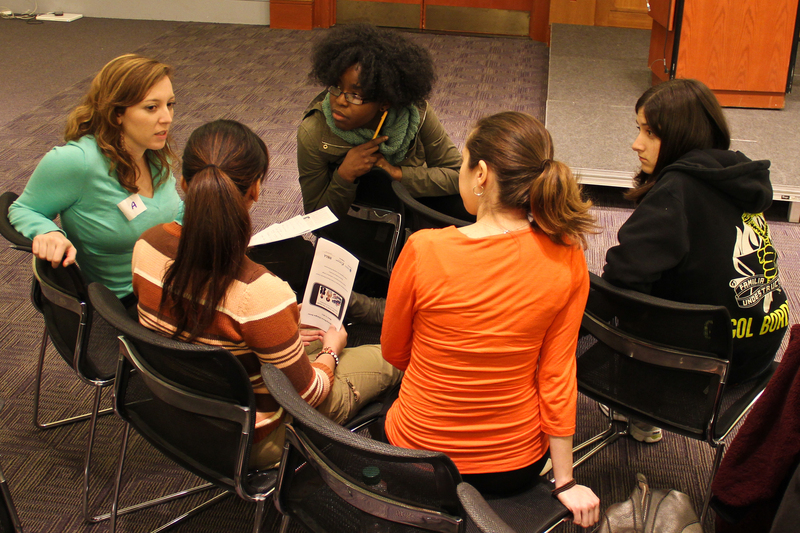 Why do you think it’s important and how can Big Sister Association encourage more women of color to become mentors? Click here to watch Eneida’s interview on BNN’s El Show de Fernandito about the importance of more women of color becoming Big Sisters. What Big Sister is looking forward to in 2010! 10. Appreciating our current and former Big Sisters on at a celebration on January 21 (hosted by our Alumnae Association!) in recognition of National Mentoring Month! 9. Going deeper into the communities we serve with programs like Neighborhood-Based Mentoring at the Lilla G. Frederick Pilot Middle School in Dorchester. 8. 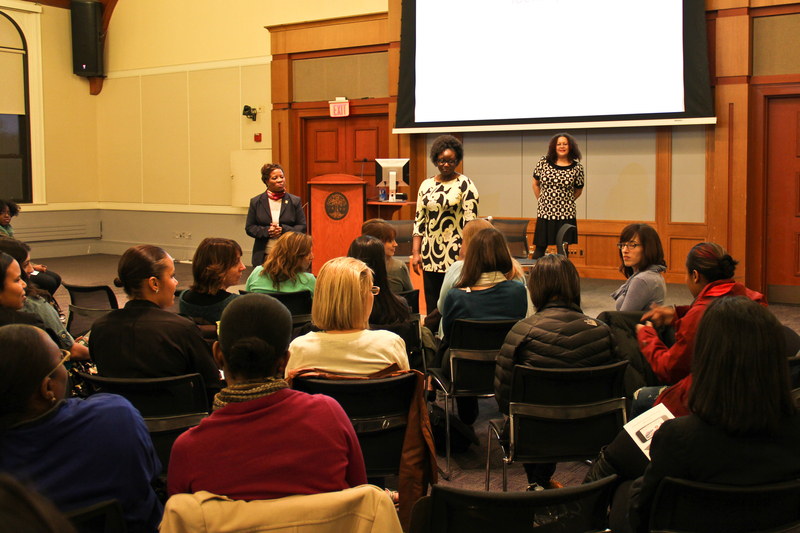 Sharing our expertise on gender-specific mentoring with girl-serving organizations through our Intentional Mentoring partnership with the United Way of Massachusetts Bay and Merrimack Valley. 7. Talking about A Girl’s Life hosted by Rachel Simmons–the eye-opening documentary about issues girls are facing right here in our community, right now–with our volunteers and supporters. 6. Maintaining longer, stronger Big and Little Sister relationships through the support of our professional social work staff. 5. Staying connected with former Big and Little Sisters through our Alumnae Association, which is open to current Big Sisters too! 4. 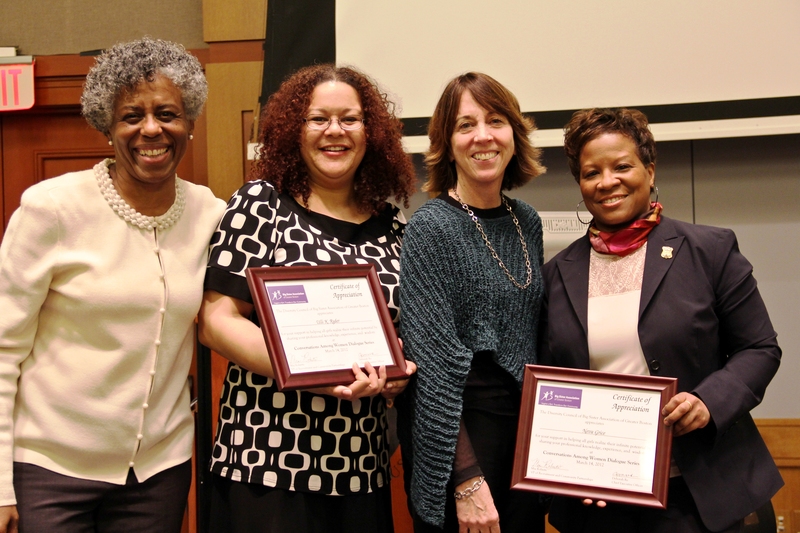 Continuing to increase the number of Big Sisters who are women of color with the help of our Diversity Council who brought us from 26% volunteers of color to 28% in 2009! 3. Hosting exciting events for our giving community, such as Rise & Inspire, Urban Beach Party, Celebrity Chef Dinner, and Big in Boston. 2. Giving more than 2,700 girls throughout Greater Boston the attention of a caring, supportive woman mentor who will expand their horizons and let them know there is nothing they can’t do, become, or achieve. 1. Keeping you in the know on all things girls, mentoring, and the Big Sister community through the BigSisterBoston blog!